The St. Regis Kuala Lumpur has a delightful buffet spread at The Astor Room this fasting month – a time when Malaysians gather with friends and families to celebrate togetherness. From 01 June to 20 June, The Astor Room will transform into a dining venue with tastefully adorned flowers and decorations commemorating this special period. The spread is available from 6:30PM to 10:00PM daily, and features a variety of international and local favourites. Chef Halim has curates a selection of recipes that represent the essence of Malaysia’s multi-ethnic cuisine, some of which are heirloom recipes that has been brought down through generations such as his signature biryani, an aromatic dish of basmati rice flavoured with fresh herbs and spices. Another signature dish to savour is the slow roasted grass-fed Australian spring lamb marinated in Malay spices, a personal favourite of his. The centrepiece of the buffet will be two (2) large customized St. Regis signature carts measuring 2m in width and 3m in height, which are modern yet sophisticated, adding a touch of glamour. The two carts will feature selections of scrumptious and healthy offerings, enabling you to invigorate and energize with a large selection of fresh fruits and vegetables, offering freshly squeezed juices that give diners a boost of energy. End the meal with countless mouth watering sweet treats and French pastries from handcrafted macarons to local ‘kuih muih’ fresh off the cart, specially made by the hotel’s pastry chef, hailing from France. The ‘Barakat & Syukur’ buffet dinner is priced at MYR 220nett per person between 6:30PM to 10:00PM every day at The Astor Room, Lobby Level of The St. Regis Kuala Lumpur. From 26 May to 24 June 2017, Gobo Chit Chat at Traders Hotel Kuala Lumpur will be having their “Citarasa Santapan” Buffet Dinner promotion. The buffet dinner features a selection of local and international cuisines with highlights on traditional Malay cuisine, just like how Nenek will cook them, including Lemang Pulut Hitam, Ketupat, Serunding Daging, Kerabu Kaki Ayam, and Sengkuang Calit, Sup Gearbox, live roti canai and murtabak station, and Briyani stuffed in bamboo which is slow cooked to obtain the beautiful fragrance of the basmati rice and spices. 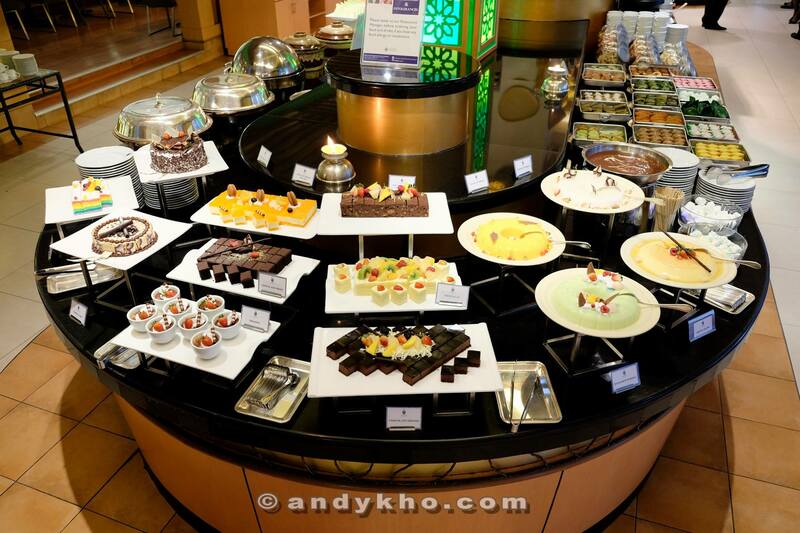 The buffet spread is complimented with a wide selection of pastries and a variety of dates. The highlight of this buffet is the free flow New Zealand Natural ice cream in 12 flavours! Traditional Malay desserts featuring the ever popular Pengat Durian (which is oh so rich and delicious!) will be offered too. I really enjoyed the sup gearbox which I though was wonderfully flavourful and rich while the freshly made roti canai was a delicious match with the kuah (gravy) from all the lauk (dishes). Also enjoyed the fresh sashimi and sushi from the Japanese section, as well as the nasi briyani and roast lamb. For dessert, if you’re a durian lover make sure you have some pengat durian! Super rich and sinful but heaven in every spoonful! The Citarasa Santapan buffet dinner is priced at RM125 nett per adult for the 1st & 2nd week (26 May to 9 June 2017) and RM135 nett per adult for the 3rd & 4th week (10 June to 24 June 2017). For every group of 6 persons, one dines for free. For reservations, kindly call (60 3) 2332 9888 or message us on Facebook; http://www.facebook.com/TradersHotelKualaLumpur. Click on the individual photos to open a larger version or roll your mouse over to reveal the captions. From 26 May to 24 June 2017, The Saujana Hotel Kuala Lumpur will be having a buffet for the breaking of fast entitled ‘Menikmati Aneka Judah di Saujana’, commencing conjointly with the first day of the observance. The buffet will feature a mix of traditional local delicacies as well as Western and Japanese eats in the buffet spread which was put together by the hotel’s team of chefs, led by Executive Chef, Chef Tang Chee Keong and Executive Sous Chef, Chef Hussian Bavutty, who are known for culinary fluency across a diverse range of cultures. Look out for classic ‘Kampung’ and ‘Nyonya’ dishes with a twist like Rusa Berempah (Whole Roasted Deer with Spices), Sup Gear Box (Beef Bone Broth), Whole Roasted Lamb Percik (Whole Roasted Lamb basted with Spiced Coconut Milk Gravy), Itik Kukus Rendang Cili Padi (Chili Braised Duck Stew), Lempeng Nyonya (Nyonya Pancakes) and Nyonya Kari Laksa (Nyonya Curry Noodles). There will also be freshly made sushi, sashimi, Lok Lok (Assorted Skewers), and Yong Tau Foo (Tofu, Mushrooms and Vegetables filled with Ground Meat mixture or Fish paste) and a lovely section of fresh seafood which includes oysters, crabs and prawns! For you sweet tooths out there, there are traditional Malaysian treats like Nyonya Kuih Muih (Nyonya Cakes), Apam Balik (Turnover Pancakes) and Western confections with a local twist such as Dondurma (Traditional Turkish Ice Cream and Crepes with Nangka & Cempedak fillings (Crepes with jackfruit fillings), ais kacang, and more! 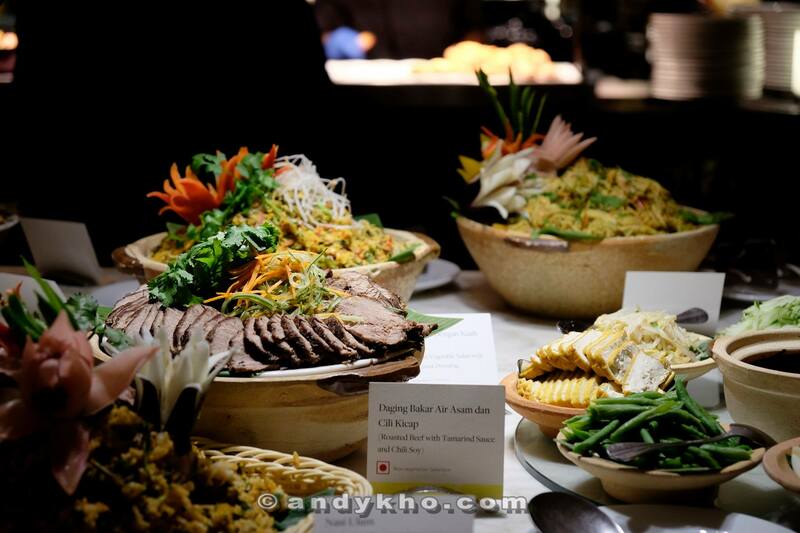 I really enjoyed the various Malay dishes which were very flavourful and fragrant! The Assam Laksa and Curry Mee were made to order so they were fresh and hot! The fresh seafood was also very fresh and I had quite a number of oysters as were the sashimi and sushi! Worth a mention is the satay and the seafood bubur lambuk which was so flavourful! The kambing soup was pretty good too! For dessert, I really liked the freshly made appam balik. The ‘Menikmati Aneka Juadah dekat Saujana’ buffet is available from 26 May to 24 June 2017 from 6.30pm to 10.30pm. Priced at RM175 nett per adult, children (aged 6 – 12 years) get a 50% discount, while children below 6 years eat for free. Other special deals throughout the holy month include a 20% off the buffet for Lifestyle by Saujana (LBS) members as well as for MayBank or Citibank Credit Card affiliates with prior reservations. The culinary brigade at the hotel also offers Corporate Banquet Packages (Fast-breaking Banquet or Hari Raya Open House Banquet) at only RM155 nett per person for a group of 40 persons and above. This will be allocated in the hotel’s various function rooms for a more private and affectionate dining affair with family and friends or business associates. Seafood bubur lambuk! Very flavourful indeed! Roast lamb the night we visited. For the actual buffet it will be roast deer aka venison! Sup Gearbox – rather rich and fattening but oh so flavourful! Hotel Istana Kuala Lumpur City Centre’s Executive Chef, Al Fitri Al Bakri and his culinary team will have a Ramadan halal buffet spread of over 100 dishes, which will show-case the best of authentic local dishes and flavours that will remind you of home. To start, diners can indulge in a delicious variety of Kerabu – Kerabu Isi Ketam, Kerabu Betik, Kerabu Udang, Kerabu Daging Tomato and Kerabu Ayam Pegaga, to name a few. Istana’s signatures dishes such as Local Style Smoked Catfish in Spicy Coconut Gravy, Butter Prawns, Braised Fish Head in rich local style thick curry with Tomato, Okra and Herbs, Indian Lamb Bandai Korma are some of the offerings not to be missed. Look out for signatures dishes from various states in Malaysia and countries such as Nasi Dalcha Tulang Rusuk, Pakistani Briyani, Kelantanese Traditional Rice with Fresh Long Beans And Roasted Beef, Vietnamese Spring Roll, among others. In addition to an authentic Malay fare, patrons can also choose from a selection of Indian, Western, Chinese and Fusion cuisines, so there is something for everyone. 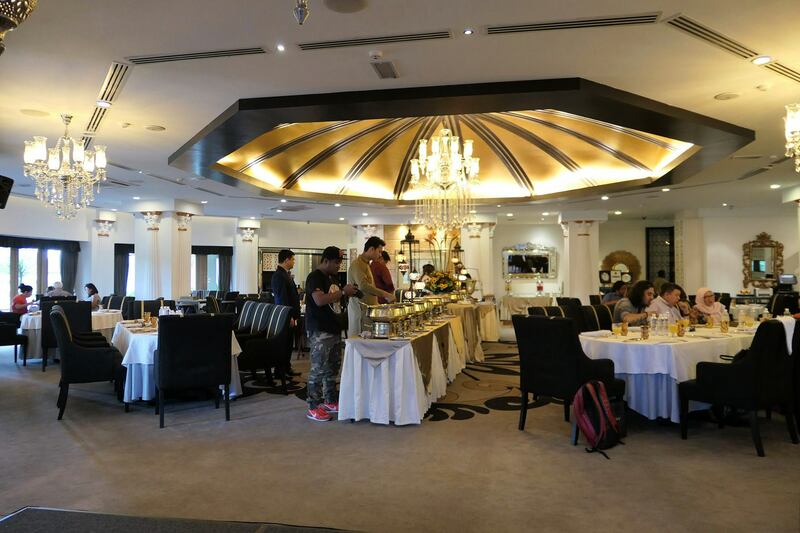 As most Malaysians love the King of Fruits, Hotel Istana is also presenting a diversity of Durian Delights in the form of Glutionous Rice with Serawa Durian, Dodol Durian, Durian Strudel, Cendol Durian, ABCD – Air Batu Campur with Durian and Durian Crepes. End the meal with sweet selections that include Malay Kuih such as Keria, Onde-Onde, Cucur Badak, Bingka Ubi, Tepung Talam, Kuih Lapis, Putu Piring or if you fancy a healthy dessert, seasonal local fruits will be on the buffet counter. If you are looking for something more Western – there is Bread and Butter Pudding, Apple/Blueberry Crumble, Tiramisu, Chocolate Brownies, Cream Brulee. My personal favourites had to be the Serawa Durian and the Cendol Durian. Both with actual pieces of durian inside and really delicious! The salmon fish head curry was pretty good too and went well with the roti canai/ murtabak! For group and private buka puasa gatherings, Hotel Istana is able to arrange for these events to take place in their function rooms. There will also be a designated prayer room, prayer mats, sandals and “Solat Tarawih” will be held daily by an Imam during Ramadan. Book early and take advantage of the EARLY BIRD SPECIAL which is a 25% off from 27 May until 3 June 2017. There will be a 20% discount for selected credit cards from 4 June until 25 June 2017. Terms and Conditions apply. The Raya Buffet Hi Tea will be available on 26 and 27 June 2017 from 12.30 pm to 3.30 pm for only RM105 nett per adult. The hotel has a promotion of BUY 2 FREE 1 on these two days. Prior reservations are recommended to avoid disappointment. For enquiries/ reservations, call 03 2141 9988. JP teres at the Grand Hyatt Kuala Lumpur has a buffet dinner promotion entitled ‘Bazaar Kesenian’ from 29 May 2017 to 23 June 2017. The buffet dinner promotion which will be offering authentic Malaysian favourites and a journey of creative inspiration as Grand Hyatt Kuala Lumpur collaborates with Sireh Pinang Art Colony to showcase a collection of historic Malaysian visual arts curated by local artist, Raja Mohamed Nizam bin Raja Mohamad Ali. The Sireh Pinang Art Colony is an organisation under the patronage of National Visual Arts Gallery (NVAG) and Ministry of Tourism Malaysia that represents a vast group of artists, both local and international artists in promoting the diverse genres and themes of art culture. Led by founder, patron and also a self-taught artist, Zubair Afandi Omar or also known as Zhi Long Shen, the primary goal of this organisation is to promote Malaysia’s culture, heritage, history and the ethnicity to the world with multiple art genres – from realism to impressionism. If you’re a budding collector or art lover, or just a visitor who is interested in expanding your collection, you can visit and view the showcase at the hotel as well as make purchases. JP teres is the hotel’s authentic Malaysian restaurant, and was designed with natural elements in mind. 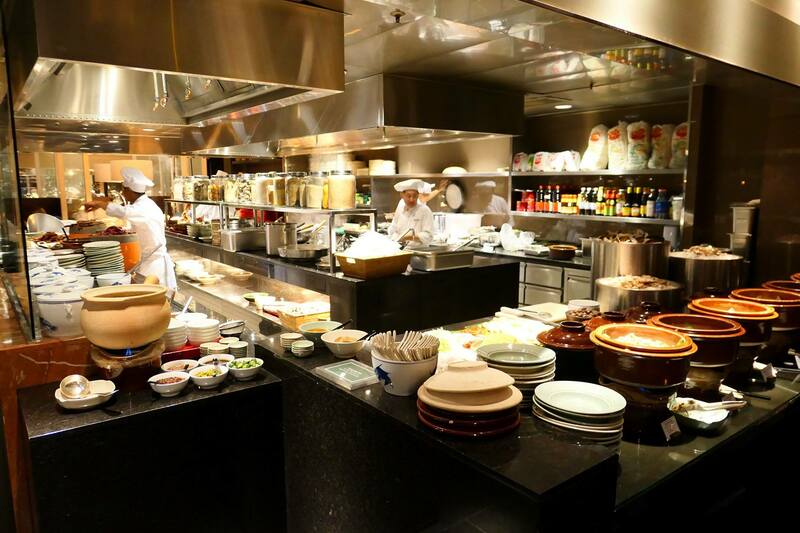 The establishment offers a Malaysian dining experience this Ramadan with a buffet dinner featuring local dishes at the vibrant show kitchens with chefs demonstrating their expertise at live cooking stalls and carving stations. The buffet’s special line-up will have a variety of colours, textures and flavours, and will feature hot and cold offerings including roast whole lamb percik-style with biryani rice, nasi kandar, otak-otak daun kelapa, chicken shawarma, local-style cooked seafood dishes and much more, plus a grand selection of mouth-watering desserts such as om ali, ais krim batang, bubur pulut hitam, cendol, sago gula Melaka, kuih lopes and ais batu campur. I liked the open kitchen concept which is similar to that or THIRTY8, where you can watch the chefs in action. Oddly enough, their Chicken Rice is one of the signature and famous dishes at this outlet and as such I had to try it. The meat was tender even though it was the chicken breast so no wonder it’s well-known here. The roast lamb was of a Middle Eastern style combined with some local flavour making a somewhat fusion dish but was nevertheless very tasty. I also enjoyed the Middle Eastern desserts which includes Ohm Ali and a couple of others such as Baklava while the soft serve ice cream machine was very popular indeed not only with kids but adults alike (yes me too!). If you like dates, there are three (3) different varieties to choose from! You can also opt to host a grand open house event with your business associates, friends and family at Grand Hyatt Kuala Lumpur’s spacious and highly versatile event spaces which are the ideal settings for meeting and greeting clients. Offering an extensive range of tailor-made menus, the hotel’s dedicated events team will be delighted to arrange a special dinner or open house event for an occasion to be remembered. With a minimum booking requirement of 150 guests, prices start at MYR 190 nett per person. Book by 27 May 2017 for event actualised from 27 June 2017 to 27 July 2017. For bookings or further enquiries, contact the Event Sales team at kuagh.rfp@hyatt.com and quote ‘RAYA2017’. 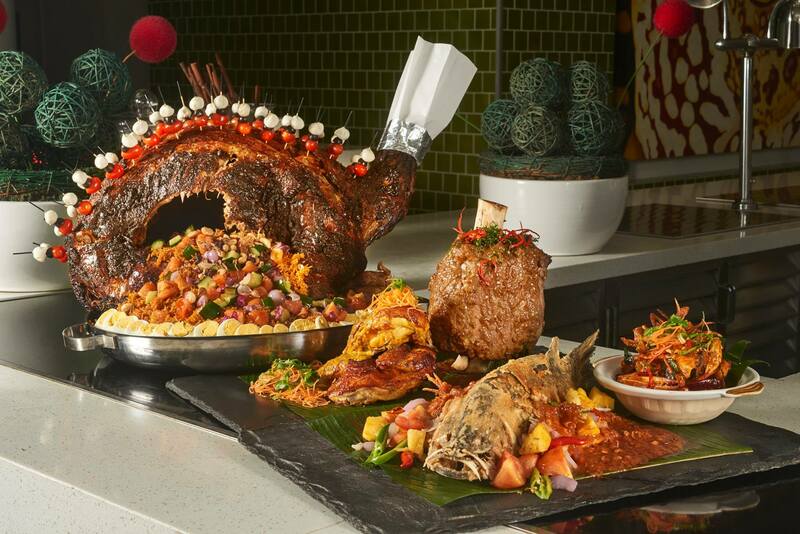 The Ritz-Carlton, Kuala Lumpur will be having its inaugural Festive Feast in conjunction with the fasting month where the chefs at The Cobalt Room will be preparing a diverse showcase of signature dishes representative of the 13 states in Malaysia and in addition to that, Middle Eastern specialities. The buffet which will be prepared by Executive Chef Zaffar and his team, includes flavourful signature and well-known dishes from each state such as Asam Pedas Ikan Tenggiri from Malacca, Ikan Patin Masak Tempoyak from Pahang, Laksa from Kedah, Nasi Kerabu from Terengganu, Penang Rojak and more. Guests will also be able to experience delightful offerings from Sabah and Sarawak in East Malaysia as well as a spread of Middle Eastern favourites. The dessert counter will feature classics that include Kek Lapis Sarawak, Talam Pandan Sabah, Cik Mek Molek from Kelantan, and more. The Festive Feast at The Cobalt Room on Level One will be priced at MYR 118 nett per adult and MYR 59 nett per child 12 years and below. For reservations and enquiries, email dining@ritzcarlton.com.my or call +60 3 2782 9099. The Living Room at The Westin Kuala Lumpur will be having a special “Jom! Berbuka Puasa Buffet” from 29 May to 23 June 2017. The all-day dining restaurant provide a buka puasa experience curated by Director of Kitchens – Executive Chef Rudy Junaidie, featuring cuisines not only from the 14 different states of Malaysia, but also cuisines from around the world – showcasing and serving up traditional Malaysian dishes, complemented by modern international dishes and enhanced with live cooking stations. Chef Rudy Junaidie has enjoyed a long and prosperous career with Starwood Hotels & Resorts, with roles dating back to 1995 when he started with Sheraton Langkawi Beach Resort as Executive Sous Chef before taking over as Executive Chef. He then spent three years as Assistant Director of Kitchens at the multi-award-winning The Westin Kuala Lumpur, where he was a crucial member of the pre-opening team. His next challenge was Director of Food & Beverage at Sheraton Subang Hotel & Towers, before returning to the kitchen – where his true passion lies – at The Westin Kuala Lumpur for a further four years and then two years with Sheraton Macao Hotel, the Starwood Hotels & Resorts largest global property. In addition, he has enjoyed various international experiences and task force assignments at a range of Starwood properties. With an impressive 20 years of extensive exposure and experience under his belt across various regions, Chef Junaidie now helms the culinary team as the Director of Kitchens of The Westin Kuala Lumpur. Break-fast with an extravagant spread of inviting appetizers, delightful mains and delectable desserts with more than 50 appealing dishes laid out on the buffet aisle. Rice and hot dishes are the center of all Ramadan buffet spreads. Diners are spoilt with the savory highlights – Ayam Bakar Percik Sri Kelantan (Slow Roasted Chicken with Coconut Lemongrass Sauce), Ikan Patin Assam Tempoyak (Silver Catfish with Spicy Tumeric Coconut), signature Westin Biryani (Rice Briyani with “Mamak” Omelette and Braised Spice Pineapple Cucumber Sesame Seed) with Roasted Whole Lamb with Mint Sauce and Lamb Jus and many more! The star dish of the night would be the specially curated Nasi Kandar Utara Mai with choices of Keting Kambing Kandar, Daging Kandar, Ayam Kandar dan Sos Hitam (Lamb, Chicken and Beef Cooked in Indian Spices). Not forgetting the final sweet touch of fine dates, assorted traditional Malay kuih and modern palatable desserts. Enjoy discounted rate at RM120 nett per person when Jom! Berbuka Puasa buffet vouchers are purchased by 28 May 2017. For dining reservations, contact Westin Dining at 603.2731.8338 or log on to http://www.westindining.com.my for more information. Aloft Kuala Lumpur Sentral brings variety and vitality to the traditional feast. The talented chefs at Nook take centre stage, serving up a compelling assortment of fine international cuisine. Nook’s A-List Buffet, priced at RM135nett, brims with irresistible options, from time-honoured Nasi Lemak to Braised Beef Shin Rendang, Wok-fried Teriyaki Chicken and more. Early bird Buffet Dinner vouchers are on sale until 28 May 2017 for only RM100. With over 150 rotating dishes throughout the month, including tempting sweet treats, Nook promises to be KL’s go-to culinary hotspot to celebrate the month of reflection and feasting. Sheraton Imperial Kuala Lumpur Hotel has a buffet spread that provides a home-made authentic “Resepi Masakan Ibu” experience at Essence Restaurant, where you will be lost for choice at their 100 meter long buffet line or their collection of stalls and live cooking stations, each traditionally decorated to its food origins. 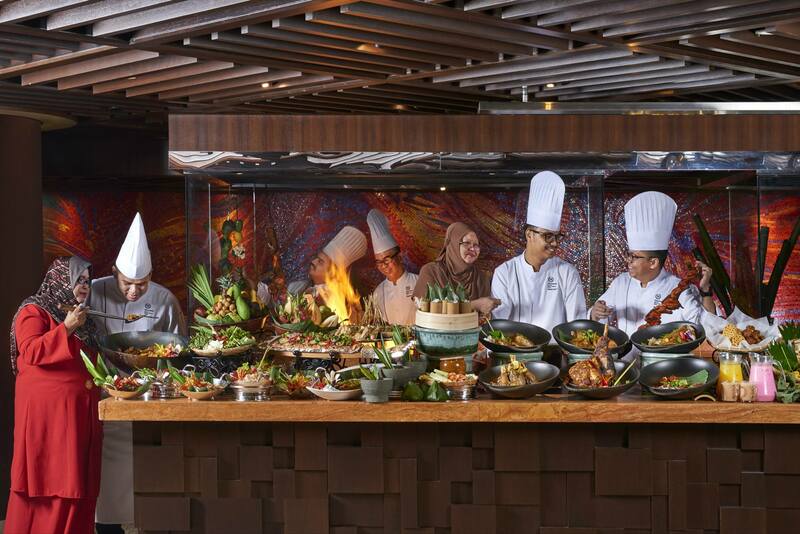 The buffet at Essence features more than 300 mouth-watering specialties from traditional “resepi masakan ibu” (Malay cuisines) and other local favourites and international delights. Look out for an array of famous dishes such as Steamed Bamboo Rice, Nasi Lemak Berlauk, Sup Keting, Kerabu Sheraton, Baked Salmon with Onion Acar, and Gulai Kawah Rusuk. Watch the chefs create dishes at the live cooking stations using the freshest ingredients, or try your hand at creating your own ais kacang masterpiece! This year, Chef Budiman and his culinary team presents “Serambi Juadah Warisan Desa”, showcasing scrumptious traditional dishes that represent Malaysians’ favourites from around the nation. 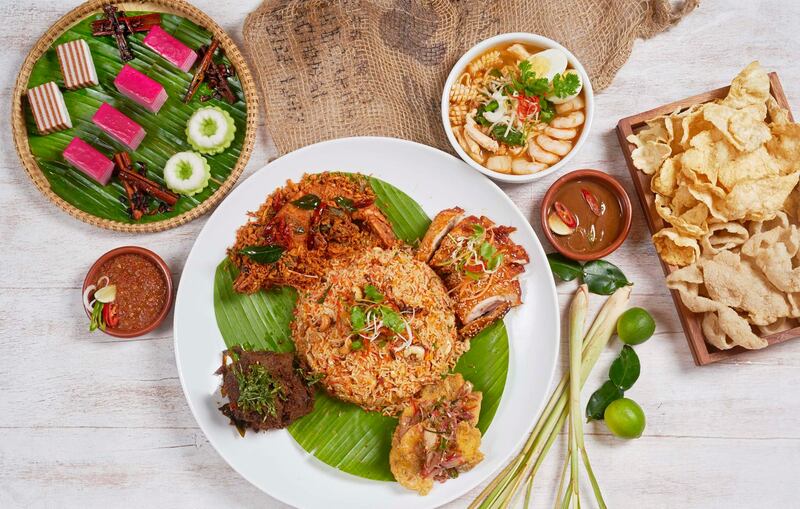 The ever-grinning Chef Budiman will once again helm the kitchen at Latest Recipe, preparing tantalising dishes from around Malaysia during the month of Ramadan. Start with authentic Malay salads at the Malay Kerabu station, which features the best traditional appetizers such as kerabu, daging bakar, acar, pecal and a variety of ulam. Kerabu ayam, chicken traditionally marinated with spices and grilled to perfection, tossed with shredded young mango, chopped peanuts, sambal belacan and some lime juice, is an annual favourite among diners. For the health conscious, kerabu ikan bakar with belimbing buluh, and sambal cili kering berulam peria are good for the kidneys and to detoxify the body. The traditional bubur lambuk is given a twist with the addirion of rempah Mikerhani and comprises the combination of coconut cream, congee and spices. Chef Budiman’s personal favourite is the acar ikan masin, a recipe from his mother, Hajjah Ramlah. The flavourful and aromatic dish comprises of various spices, white vinegar, ikan talang, cinnamon, star anise and cardamom. “Nothing beats our mother’s cooking and it goes well with hot white rice. It is simply amazing that even a simple dish can be such a hit,” says Chef Budiman. The roasted lamb is marinated for 10 hours with spices such as fennel, cumin, coriander seeds, cardamom, cinnamon, star anise, clove, dried chilies, ginger, lemongrass, tomato paste and vinegar. It is then roasted for 2 hours and steam baked for 30 minutes to maintain the moisture. Other new additions include kuah lemak kepiting bunga kantan with sambal goreng cili padi, and kuah ayam pedas bersama telur puyuh. Rendang ayam pencen with pucuk ubi, gulai lemak merah, daging panggang rempah arab, asam pedas, rendang merah utara, masak lemak cili api with rebung, ikan bakar air asam are some of the all-time favourites in Latest Recipe. Le Cucur is a corner where diners can savour variety of fried delicacies such as banana fritters, fried with pisang raja and served with Turkish ice cream, drizzled with three different types of honey; Kamahi, Rata and Clover. Besides traditional Malay food, there is also Japanese fare such as Teppanyaki, Tempura, sashimi and many more. The fresh salmon is sliced to perfection and served with Japanese ginger, wasabi and shoyu. Other must-try fares are kebab and kofta from the Mediterranean. To round up the extraordinary culinary journey, diners can indulge in more than 30 desserts. Among the most sought after are Dates cheesecakes, Triffle, Green tea swiss roll, Nutella cake, and a variety of traditional sweet and savoury delicacies. The most popular dessert in the restaurant though has to be the Roti Jala (lace pancake) with Serawa Durian (Durian gravy). This buffet dinner is available at Latest Recipe from 27 May to 24 June 2017, priced at RM180 nett per adult and RM 90 nett per child (from Monday to Sunday). SPG members receive 20% discount off total food bill. Selected credit card discounts apply. The buffet spread is inclusive of free flow date juice, sirap bandung, sugar cane juice, iced lemon tea and hot teh tarik. Early bird vouchers are available at RM 130 nett (adult) RM 65 nett (child) from now until 20 May 2017. Le Méridien Putrajaya is ready to take diners on an intrepid culinary journey. 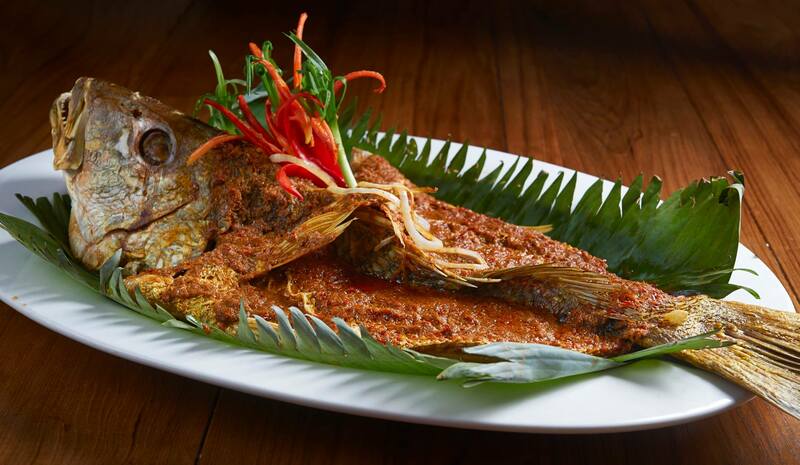 ‘Destinasi Rasa’ at Latest Recipe showcases the finest Malay regional cuisine brimming with exotic culinary creations. Guests can savour everything from Kari Ayam Kapitan, Ikan Berlada and Claypot Bean curd. This exquisite experience can be enjoyed for the early bird price of just RM110 per adult/RM55 per child if booked before 21 May 2017. Guests can also experience festive style with an exclusive stay package which includes breakfast or Sahur and buffet dinner for two, and is available to book from 20 May – 30 June 2017 for stays from 26 May to 2 July 2017. Tafathalo or “Do me the honour” at Makan Kitchen this May and June 2017 as DoubleTree by Hilton Kuala Lumpur brings to the tables a diverse spread of specialty dishes hailing from the food cultures of Saudi Arabia, Lebanon, Morocco and Egypt. Featuring two of Conrad Cairo’s most celebrated Middle Eastern chefs, Chef Mohamed Raouf Fattouh and Chef Mohamed Elsaid Aly, Makan Kitchen will be exhibiting the diversity of Middle Eastern cuisines and the master skills of using profound spices for guests to savour this coming May and during Ramadhan. Saturdays & Sundays RM91 nett per person *Kids Eat Free! Feast on a sumptuous spread of Middle Eastern cuisine led by Chef Mohamed Elsaid Aly, who brings to the table specialty dishes such as Hummus with Tahena, Tabbouleh, Baba Ghanoush, Fattoush Salad, Nasi Arab and Shawarma. 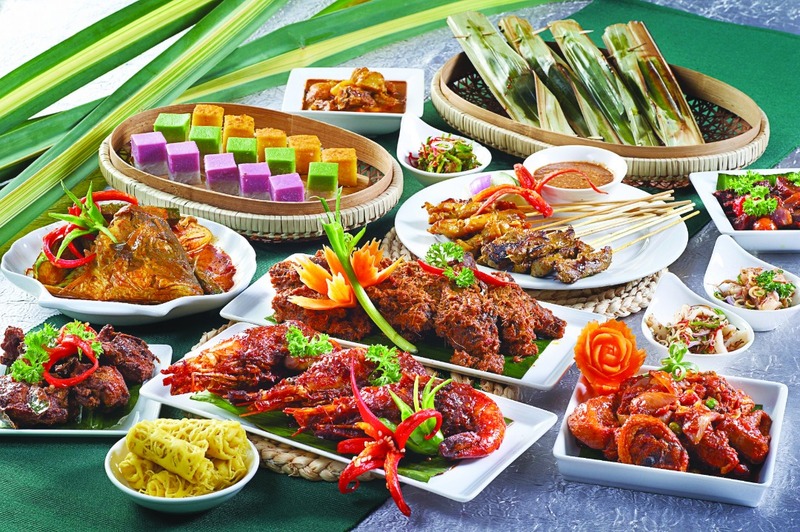 Add on a spread of Malaysian favourite dishes, such as Kambing Panggang, Sup Kawah Aneka, Laksa Sarawak and Satay Aneka, from the chefs of Makan Kitchen and you have a grand feast of elaborate array to celebrate with family, friends and business partners. Guests can also rehydrate and enjoy the many varieties of local specialty beverages such as soda bandung, teh bunga, soya bean, teh tarik and many more during this special month. I was pretty stoked that the chef actually made a falafel for me as I mentioned that I’ve never tried it before. It was surprisingly good even though it was a fully vegetarian dish! *All prices are inclusive of 10% Service Charge and 6% GST. A traditional band? No way! 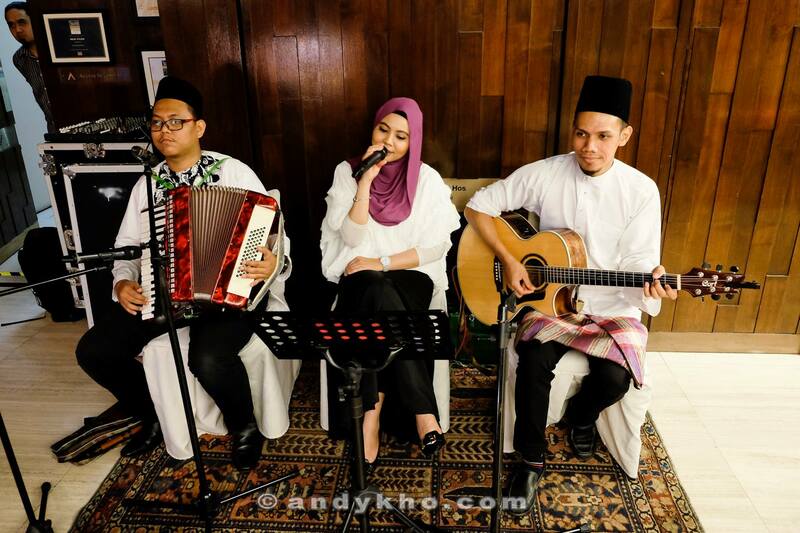 This band sang traditional Malay numbers as well as some of he latest hits and evergreen songs like Mungkin Nanti and Kau Ilhamku! “Balik Kampung at Pullman KLCC” between 26 May and 24 June 2017 at Eccucino Restaurant with a buffet dinner with traditional favourites like Rendang Tok, Nasi Briyani bersama Kacang Gajus, Kambing Panggang Berjintan, Udang Goreng Berempah, and Ayam Panggang Madu Berbijan, all authentically presented in stalls and live cooking stations. There is also a sugar cane machine and coconut drinks section for diners to experience the true Kampung-style ambience. 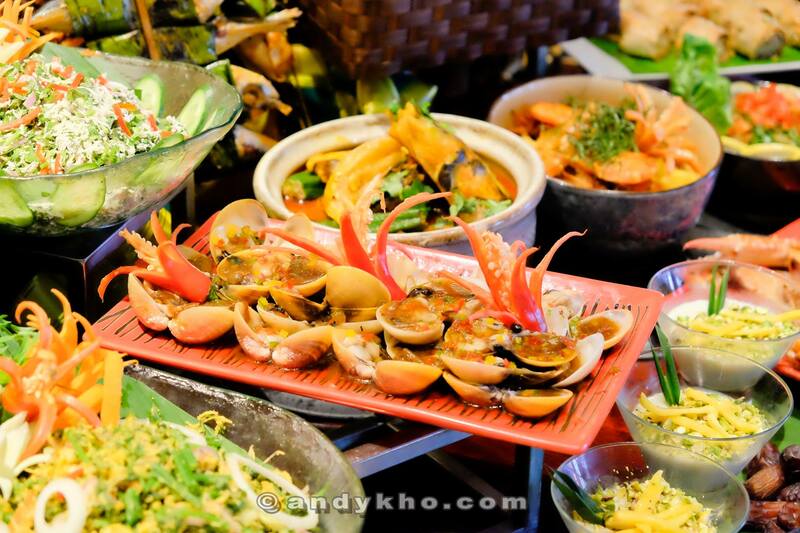 Apart from the Malay dishes, the buffet also features fresh seafood, an unending spread of hot food and the sweet and tempting desserts corner. 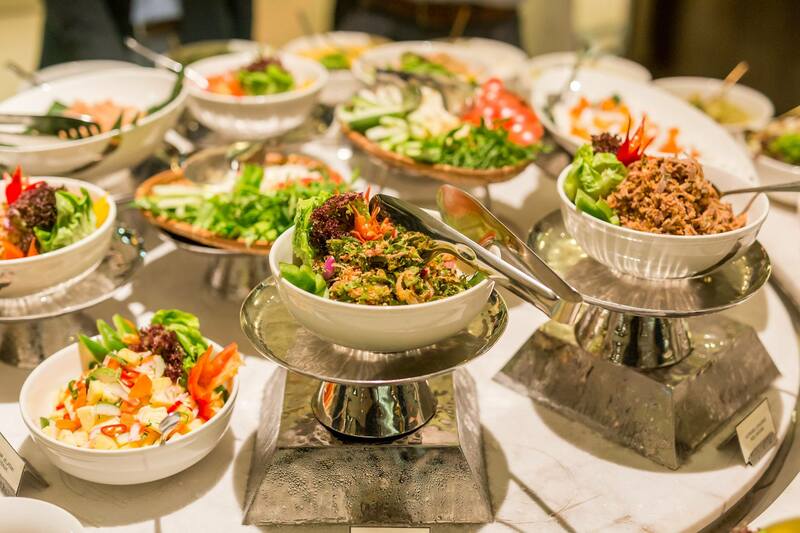 The Pullman KLCC offers specially tailored buffet menus for those interested in organising private or special get-togethers of 50 persons and above during the fasting month. Host your event at the hotel’s pillarless Pullman Grand Ballroom that seats over 420 persons, or in any of the 11 function rooms. For further information, guests may call the Sales Department. Separate male and female prayer rooms are available for the convenience of Muslim guests. The Balik Kampung Buffet Dinner priced at RM150 nett per adult and RM75 nett per child*, will be served between 6:30pm and 9:30pm. All prices are inclusive of 6% GST. Early breakfast is also available from 4:30am to 5:30am. To usher in the holy month of Ramadan this year, the chefs of Berjaya Times Square Hotel, Kuala Lumpur has put together a sumptuous buffet spread with more than 200 authentic local cuisines, promising an exceptional dining experience for all. True to the bazaar theme this year, the casual all-day dining outlet, The Big Apple Restaurant at level 14 will be transformed into a bazaar. The outlet will feature the classic Ramadhan bazaar stalls reminiscent of those found in popular outdoor bazaars around Malaysia during the festive period. Individual stalls will be spaced around the restaurant featuring special signature dishes. Guests can expect Lempeng Kelapa, Lamb Briyani, Ikan Keli/ Cencaru Bakar, Pucuk Manis Ubi Keledek, Otak- Otak Muar, Murtabak Istimewa, Ayam Goreng Uncle Bakri amongst many other must-try traditional Malay dishes. Those looking for lighter and healthier options can toss up their own Ulam-Ulam Tempatan or pick from a variety of ready-made salads on offer. Besides the delectable buffet spread at The Big Apple Restaurant, this Ramadhan, guests would also be able to enjoy the Nasi Briyani Gam Batu Pahat made with traditional herbs and spices. It is specially prepared by Chef Yusoff and will be available for takeaway at the stalls located at the lobby of the hotel. It comes in two delectable choices; chicken or lamb. 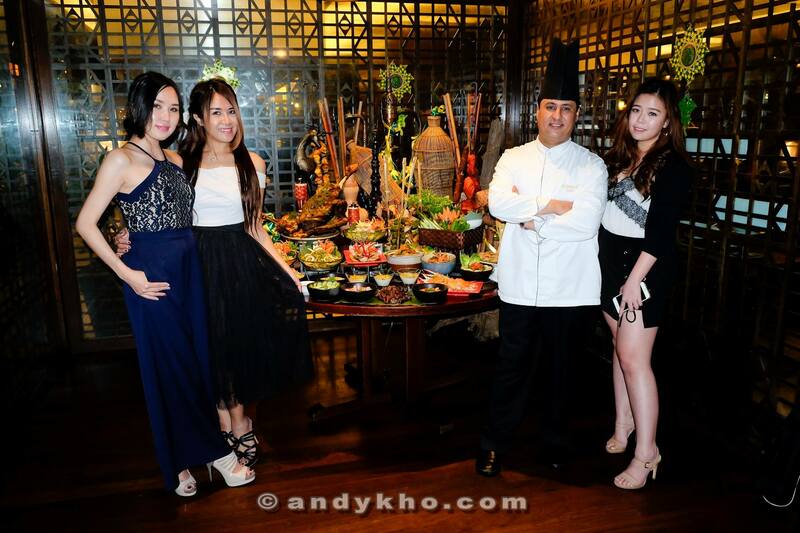 Due to popular demand, the Angklung Balle Balle band will once again be back to entertain guests during the buffet. The Bazaar Ramadhan buffet starts on 29 May 2017 till 22 June 2017, from 6.30pm to 10.30pm. It is priced at RM128.00 nett for adults, and RM58.00 nett for children during the 1st and 4th week and RM138.00 nett per adult, RM 68.00 nett per child for the 2nd and 3rd week. Early bird vouchers are also available for purchase at RM100.00 nett for adults and RM50.00 nett for children. 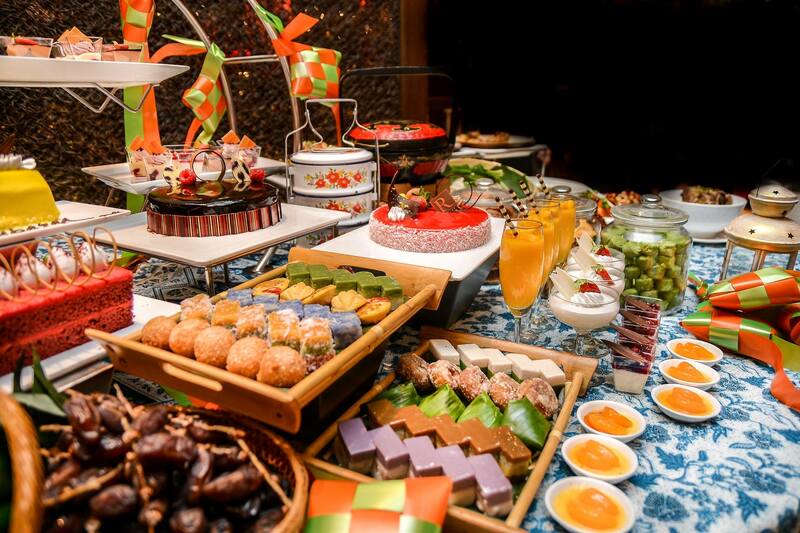 Enjoy a private Ramadhan buffet at RM118.00 nett per person, with a guaranteed minimum of 10 tables. For every 10 confirmed tables, guests will receive one complimentary table. Ramadhan Meeting Packages are also available at RM 148.00 nett per person for full day meetings and RM 158.00 nett per person for half day meetings. 2-day 1-night Ramadhan Residential Packages during the Ramadan month are also available from RM428.00 nett per person per night onwards. The package is inclusive of buffet breakfast, a 1-day meeting package with 2 coffee breaks, 1 buffet lunch or dinner, alongside the use of meeting rooms and meeting facilities. 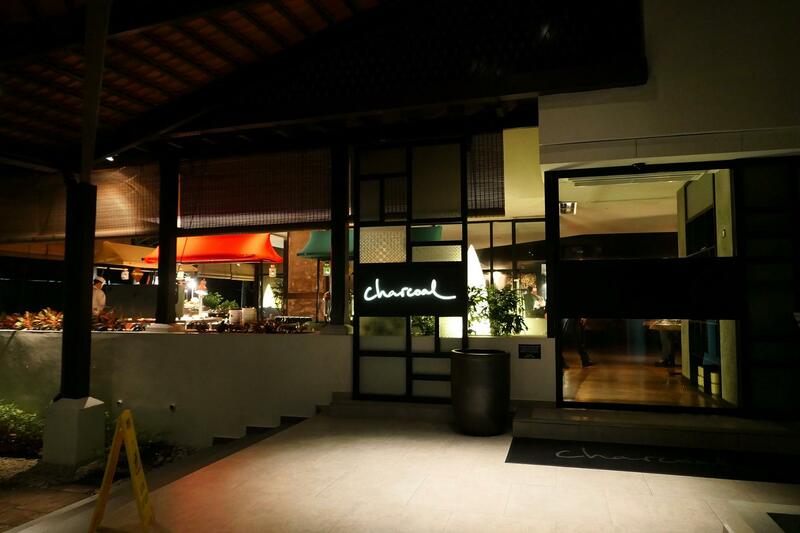 For reservations or enquiries, call + 60 (3) 2117 8000. 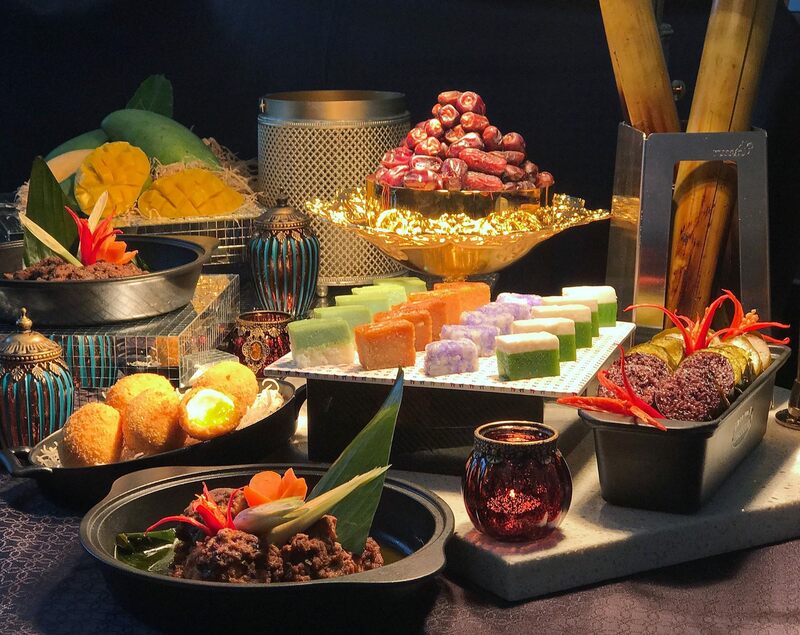 TEMPTationS at Renaissance Kuala Lumpur Hotel has experienced Chef Ali Tuwin and his team preparing a feast of more than 100 dishes including Malaysian classics enjoyed during the fasting season. A highlight of this year’s feast is the all-you-can-eat tropical fruit fiesta and durian (subject to seasonal availability though) at the ‘urban tropical oasis’. 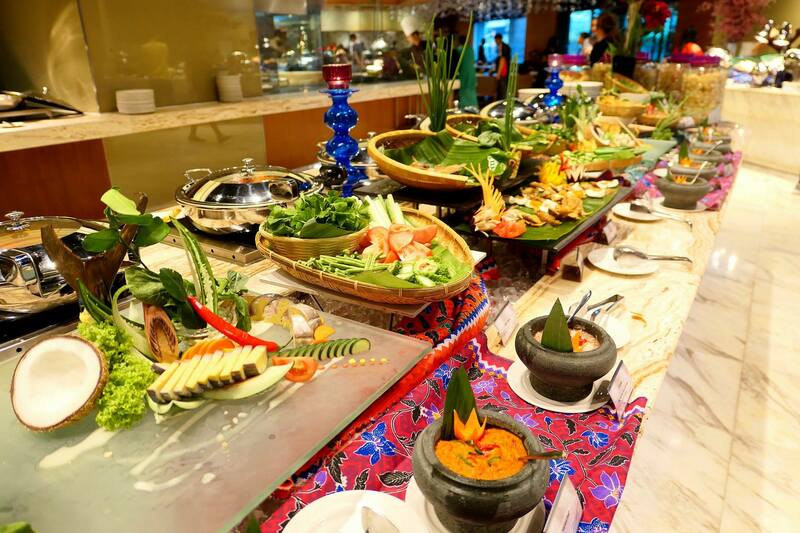 The Buffet of Malaysian classics inclusive of the all-you-can-eat tropical fruit fiesta is priced at RM145nett per person and half price for children from 6 to 12 years old. Early birds will enjoy the buffet at RM110nett per person from 27 May to 2 June and 17 June to 24 June 2017. Classic flavours to be savoured include Biryani Gam Ayam, Sup ‘gearbox’, Ayam masak daun limau purut, the all-time favorite Roasted whole lamb with percik sauce, Serawa durian with glutinous rice and the must-have beef or chicken Bubur lambuk that will be available every evening throughout the fasting month. Specials from the menus include Baked lamb rack with piquant Mongolian sauce, Casserole of beef with vermicelli in satay sauce, Crispy farm chicken with spicy minced garlic, Baked cod Portuguese style and Stewed oxtail with radish in casserole. For private breaking of fast get-togethers or Aidilfitri celebration for a group of 50 persons and more, the hotel’s catering team is able to customize packages to suit your needs. For caterings from 27 May until 23 July 2017, enjoy a 10% discount for bookings made before 22 May 2017, as well as benefits such as pay for 20 persons and one (1) person dines for free, sweet delicacies as starters, complimentary parking, takeaway goodies for each guest and more. For details on customized packages for breaking of fast and Aidilfitri gettogethers, please email rhi.kulrn.sales@renaissancehotels.com or call 03 2716 9910 / 03 2716 9918. For restaurant reservations, please call 03 27716692 or email rhi.kulrn.fb@renaissancehotels.com. From 19 May onwards, One World Hotel’s award-winning coffee house, Cinnamon has a grand feast prepared by Executive Sous Chef, Saiful Baharin and his culinary brigade, showcasing more than 100 authentic local dishes and flavours, from appetisers to desserts and everything in between. Notable dishes include the Kambing Opor Daun Selum, Ikan Kari Asam Pedas, Daging Masak Tiga Rasa, Chicken Mandy, Mixed Seafood Paella with Tomato, Beef Wellington and Buttered Tiger Prawn with Cili Padi and Curry Leaves. Other delicious specialties include Daging Deng Deng, Ikan Patin Masak Tempoyak, Bubur Lambuk, Sup Gearbox, Daging Kawah, Ayam Percik, Burung Puyuh Berempah and Sup Ekor Lembu Bersantan. Desserts will encompass favourites such as Jagung Susu Dalam Cawan, Mandarin Orange Crème Caramel, Apple Dadih, Kek Sarang Semut, Pengat Pisang, Bubur Cha Cha and more. My personal favourite would have to be the fried squid with salted egg yolk sauce! I just couldn’t stop eating it! The Mahligai Nelayanku promotion is available from 6.30pm to 10.30pm nightly, priced at RM140.00nett per adult and RM70.00nett per child aged 4 – 12 years old from 19 May to 26 May 2017, and RM160.00nett and RM80.00nett respectively from 27 May to 26 June 2017. TrEat Restaurant & Bar at Oakwood Hotel & Residence Kuala Lumpur has a buffet dinner this fasting month entitled “Dining Under The Stars” which will be prepared by the new Chef de Cuisine – Addy Dzulfadzly Abdullah and his team who are looking forward to serving guests their authentic creations and especially the signature Ayam Percik. There will be four (4) ala minute stations that will be set up around the poolside filled with local delicacies, desserts and roast lamb. The menus are rotated nightly so that diners can sample some of 222 different items. Musicians will also be entertaining the crowd every Friday and Saturday night. This promotion begins on 29th May until 24th June from 6.30pm to 10.30pm and is priced at RM77+ (adult) and RM39+ (child). 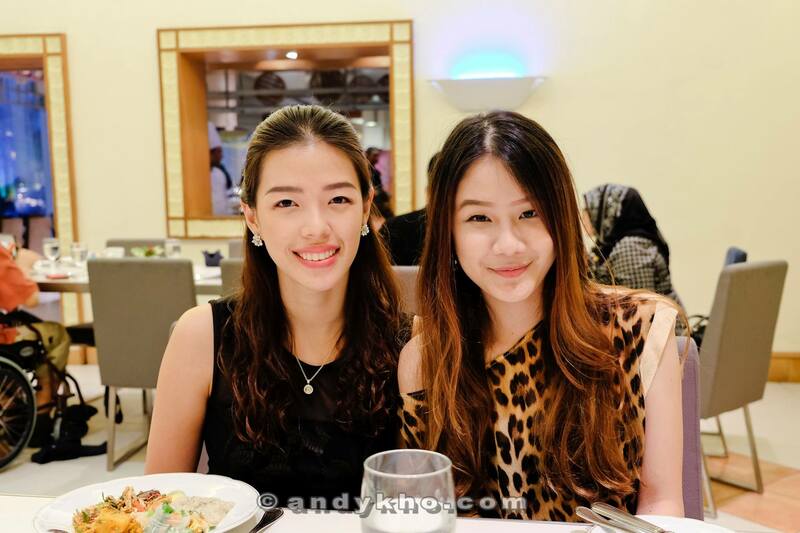 Diners also stand a chance to win a stay in other Oakwood sister properties around Asia. TrEat Restaurant & Bar is located on upper lobby floor. Please call 03.2710.9180 (direct line) or email fnb.ohrkl@oakwoodasia.com for reservations. Qureshi at TPC (formerly known as KLGCC) is offering a Sunset Buffet priced at RM95 nett (adult) and RM45 nett (kids), and features a curated selection from Qureshi’s extensive menu. Look out for popular dishes such as Butter Chicken, Prawn Moilee, Peswari Murg Tikka and Punjabi Fish Tikka will be served with generous servings of Dum Gosht Lucknowi Biryani (Lamb with Aromatic Spices and Basmati Rice) and a mix of Indian breads. A selection of Sharbat (sweet drinks) and Shireen (dessert) will be made available to provide a sweet finish to one’s meal accompanied by spicy yet smooth Masala tea. 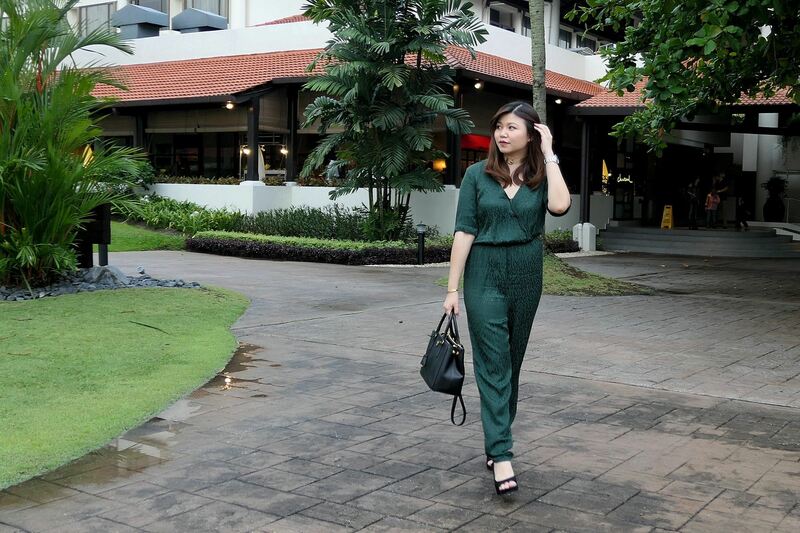 Dine in a classy and stylish furnishings or engage the nature at the outdoor seating at the contemporary dining restaurant Taste Cafe in G Hotel Gurney. SPOON, on the other hand, located in G Hotel Kelawai, is a reminiscent of French Bistro offering an indulgent delights in a minimalist dining environment. Taste Cafe and SPOON are synchronizing the same concept of the spread but the respective culinary team has also came up with cohesive yet distinct menu for the buffet. Look out for favourites such as Sup Kambing Rempah, Hot & Sour Soup, Bubur Lambuk Udang before heading to the Malay Feast Panggang section for the freshly grilled chicken and beef Satay, squid, prawns, shishamo fish and stingray which are complemented with sauces of Air Assam, Sambal Dip, BBQ Sauce and Black Pepper Sauce. 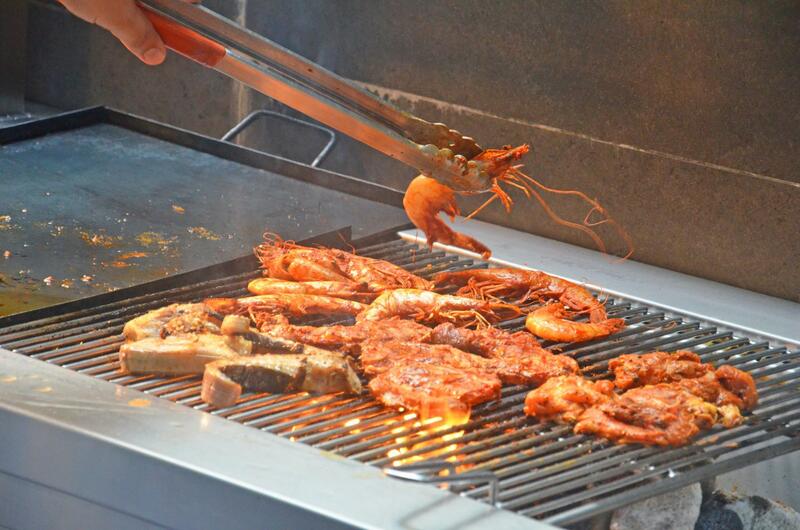 Taste Cafe has Penang’s first ever Lava Stone BBQ grill with Lava Stone that comes exclusively from Indonesia, which perfectly enhances the quality of the food by holding the natural flavour, moisture and nutrients in the food, while preventing flare-ups that cause charring. Other notable dishes include Roasted Whole Lamb, oven roasted prime ribs, Mac & Cheese, Lamb Stew, Nasi Briyani Udang, Ikan Pedas Ayam, Daging Kerutup, Chicken Curry Kerisik, Ikan Pedas Asam, Sotong Goreng Berempah, Nestum Prawns and many more. There are also Chinese dishes such as Stir-fried Cockles and Potatoes with curry leaves, and Stewed Eggplant Szechuan Style. Watch the chefs cook up a storm at the live Mee Udang and Roti Jala with Curry Chicken cooking stations. Sweet tooths can look out for traditional Malay desserts such as agar-agar cendol, Malay kuih, Pisang Goreng, Cucur Udang and some sweet treats of puddings, tarts, cakes, panna cotta, Franzipane tart – an almond-flavoured sweet pastry and more. With every visit to Taste Cafe during this Ramadhan month, guests get enjoy the Teh Tarik show and sample the thick and creamy pulled tea in the first hour of the buffet dinner. Ramadhan Buffet Dinner at Taste Café and SPOON are available from 27 May to 24 June 2017. 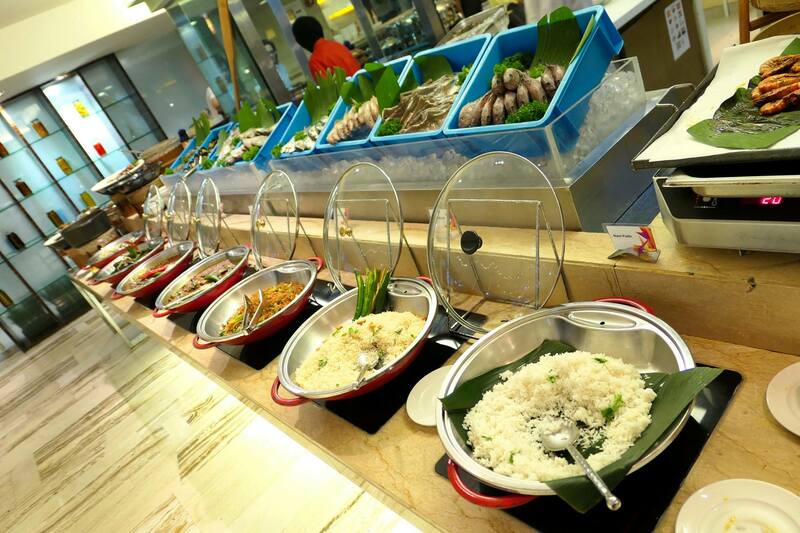 The buffet in Taste Cafe is priced at RM120 from Sunday to Thursday and RM155 on Friday and Saturday. The authentic Malay cuisine and international menus in SPOON is available with a special promotional price of RM75 from Sunday to Thursday and RM99 on Friday and Saturday. Hari Raya BBQ Buffet Dinner is also available at both outlets on 25 & 26 June 2017. It is priced at RM120 in Taste Cafe and RM75 in SPOON. Both G Hotel Gurney & G Hotel Kelawai also offers Ramadhan Meeting Package from RM105nett per person onwards. This package includes the usage of a conference room for up till eight hours with the latest meeting facilities and a buffet lunch which can be exchanged to buffet dinner voucher. 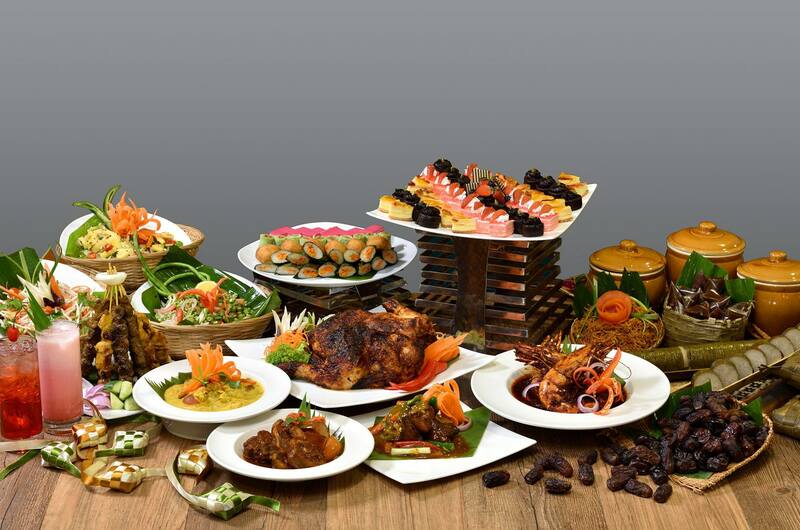 Private Buka Puasa Buffet Dinner is priced at RM75nett per person. With a minimum of 30 persons, this buffet dinner is inclusive of free flow air bandung, individually packed red dates and usage of surau. Both the Private Buka Puasa Dinner and Ramadhan Meeting Package are available till 24 June 2017. For more info, head over to http://www.ghotel.com.my or contact 04-2380000 for G Hotel Gurney & 04-2190000 for G Hotel Kelawai. The Eatery at level 13 of Four Points by Sheraton Sandakan is the ideal spot for casual fun and fine flavours this Ramadhan. Guests are invited to gather for a sumptuous spread including a whole lamb carving stall, freshly grilled Ikan Bakar, Daging Pangang Percik and more mouth-watering Malay specialties. Up for grabs in the lucky draw prize is a brand new motorcycle and the early bird special is priced at only RM67 nett. Furthermore SPG members and customers of Maybank and CIMB enjoy 25% off on food purchases. The hotel also presents an enticing School Break Package inclusive of Ramadhan buffet dinner for two, available for stays from 26 May to 2 June. There are few places more captivating than idyllic Langkawi to celebrate the month of reflection and The Andaman, a Luxury Collection Resort makes it an unforgettable occasion. A magical mood is conjured up at oceanfront restaurant Tepian Laut for the Juadah Hari Raya celebratory spread with live cooking stations, a sumptuous BBQ and authentic Malay favourites. Guests are invited to gather for a memorable Ramadan finale amid the resort’s stunning reef to rainforest scenery for just RM220+ per adult or RM90+ per child. Throughout the month the pre-dawn Sahur set menu is also available via In-Room Dining.